Is Still Bitcoin the Best Bet? In a bearish market, participants are usually obsessed to find out what is the most valuable asset they could hold in the long run, so the losses will be minimized in the short run and increased exponentially. Even though Bitcoin had reached a new 2018 low recently, it is still the best cryptocurrency out there and in this article, we will talk about why is that happening. Some people that think Bitcoin is really dead might not like what we think, but each one of them is free to express their own opinion. If you look at our chart below, taken from coinmarketcap.com, you will notice that Bitcoin stands head and shoulders above any other major cryptocurrency. On July 16th, which is the day this material was written, Bitcoin has 42.83% of the total market cap. Ethereum had now 17.74%, and Ripple is in the third place with 6.85%. Although some people might argue that competition had risen compared to a year ago, when Bitcoin had more than 90% of the total market cap (and they are right), still, Bitcoin remains the single dominant cryptocurrency in the market. Bitcoin continues to be the best cryptocurrency in terms of usability. We have Bitcoin ATMs, a lot of big companies that accept payments in Bitcoin, in the US some states had begun to accept tax payments in Bitcoin, Japan had made Bitcoin a recognized payment method, Bitcoin is one of the few licensed cryptocurrencies, and the reasons could continue further. The easiest coin to spend is still Bitcoin. As Bart Smith of Susquehanna International Group said on CNBC recently, “If you want to own the asset that you can actually use today and that people are functionally using, it’s bitcoin”. He also called Bitcoin “the currency of the internet”. As we have talked in a previous article, Goldman Sachs wants to open a Bitcoin trading operation due to high demand from its customers. The people are excited about the huge volatility in the cryptocurrency and they know that with volatility higher profits can come (also higher losses). 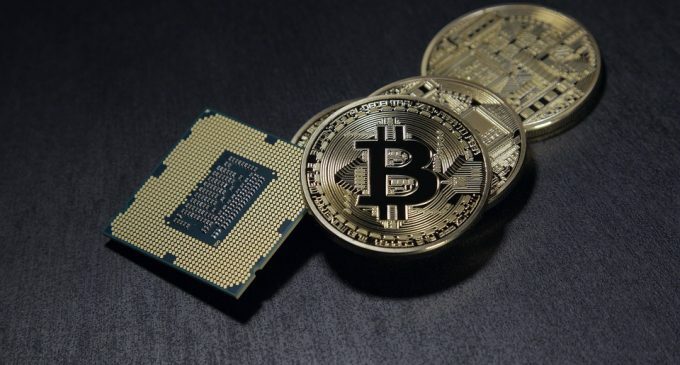 Since Bitcoin is the most accessible and reliable cryptocurrency at the present time and also, since there is huge interest in it for the future, we suspect it will remain the most dominant cryptocurrency in the near term, with no real competitor at the present time.